Now in its twelfth year, our annual Tax Conference offers general practitioners and tax specialists alike the chance to hear from industry experts and connect with their peers. This year’s event took place in early October at the MacDonald Cardrona Hotel in Peebles and it attracted delegates from across the UK. Something for everyone. With topics spanning the spectrum from the Scottish rate of income tax to what happens behind the scenes at the tax faculty, the event’s programme offered both technical and topical updates. Speakers included Rebecca Benneyworth, Paul Aplin, David Heaton, Gary Brothers and ICAEW Scotland’s own Carl Bayley. This year’s event was the first to be widely Tweeted about and the hash tag ‘ICAEWPeeblesTAX’ was busy throughout the event, with photos, updates commentary and compliments filling the feed. ‘(the) discussions are so useful and the level of technical knowledge and experience not available elsewhere is really appreciated’. Many are already keen to register for next year’s event, which is scheduled for 10 and 11 October 2014 at the Peebles Hydro. The article is reproduced with kind permission from the Tax Faculty, the article first appeared in November 2013 TAXline. © ICAEW 2013. All rights reserved. If you want to reproduce or redistribute any of the material in this article, you should first get ICAEW’s permission in writing. ICAEW will not be liable for any reliance you place on the information in this material. You should seek independent advice. You can join the Tax Faculty and enjoy all the benefits of membership, such as timely information, guidance and support to keep you up to date in the ever-moving world of tax. Enjoy membership until the end of 2014 from £103. The faculty also provides a Newswire service, which is a weekly round-up of tax news. 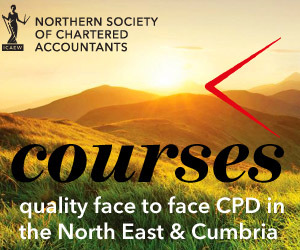 Members and non-ICAEW members can register for free.